The workshop will present various discount methods of UX testing for eCommerce websites, which can be adapted to any web or mobile app. For all methods we will show an applied example of the technique. In the second part the participants will choose randomly a known website to which we will apply the methods and at the end we will compare and discuss the results. The goal is to present easy methods of testing websites from an UX perspective and how can we establish measurable variables. These are important elements especially working with clients, so that we can present them better our results and how to sustain our design decisions. 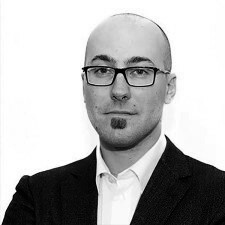 Adrian Iacomi has spent 15 years in the IT industry holding various positions, from UX Designer to Project Manager. His major focus has been on healthcare and e-commerce applied in an international environment. He holds a MSc. in UX from the IT University of Copenhagen. He is passionate about tango, photography and beautiful, but practical design (of any kind).